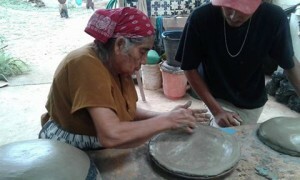 In 2016 Gustavo Zeledon Garcia made a documentary about the last potterymaker of la Cruz. Doña Flor (85). His main intent was to capture the technique to keep it part of the culture. After the documentary doña Flor gave a workshop in Codeso for local people to teach them the technique. 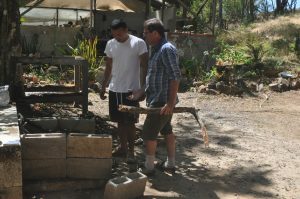 Gustavo uses the weekly open workshop to experiment with local clay and firings.